Last week was so hectic that my friends and I couldn’t wait for the weekend to relax in a laid-back atmosphere and have a little chit-chat. What’s better than hanging out in a casual Japanese pub to chow down on sumptuous Japanese foods and relish some drinks? 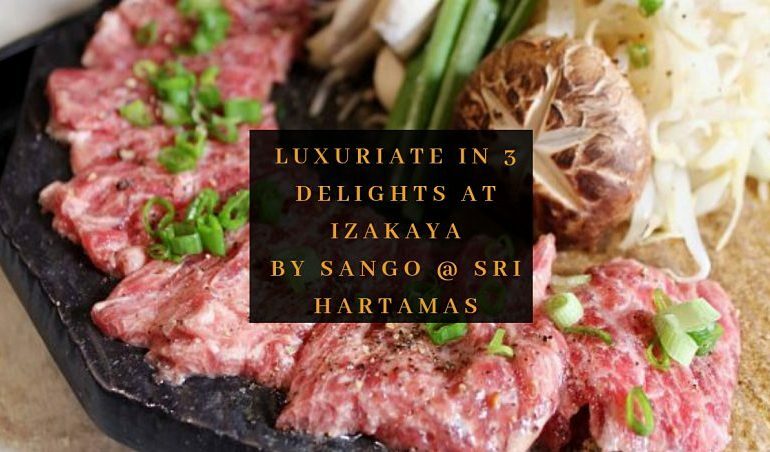 That’s why we decided to head to Izakaya by Sango @ Desa Sri Hartamas! As suggested by the word “Izakaya” (informal Japanese pub) in its name, the restaurant offers a menu of decent price with the setting suitable for a casual meet-up. This modern progressive Japanese bar is actually a spin-off from the renowned Izakaya by Sango (since 1995). Cozy interior and friendly staffs, we immediately fell in love! The first dish – Wagyu Tobanyaki, totally caught my attention when it was presented. 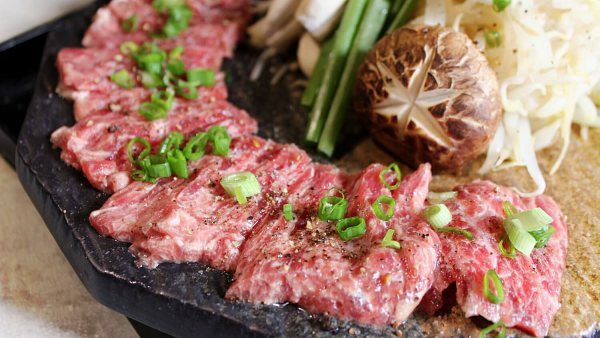 To be honest, I am one frenzy advocate of high-quality Wagyu on “Tobanyaki” – a cooking technique in which meat is roasted on a ceramic plate. That’s why this plate of 150g of perfectly-sliced Wagyu meat with gorgeous marblings accompanied by assorted vegetables was eye-catching enough to satiate my craving. The beef, interestingly, will be cooked by diners themselves yet you can ask for help from the restaurant’s staff if needed. 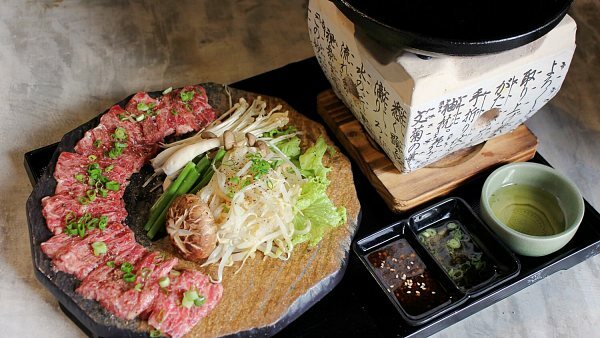 We put one piece of the marvelous Wagyu on the hot ceramic plate and its sizzling sounds were so satisfying that we could not keep ourselves from silently screaming in excitement. The rich, fat-friendly and savory Wagyu beef thrilled us with its juiciness, softness and smoothness. An impeccable indulgence! The second dish is the top-selling platter filled with flavors – Sango Signature Platter. 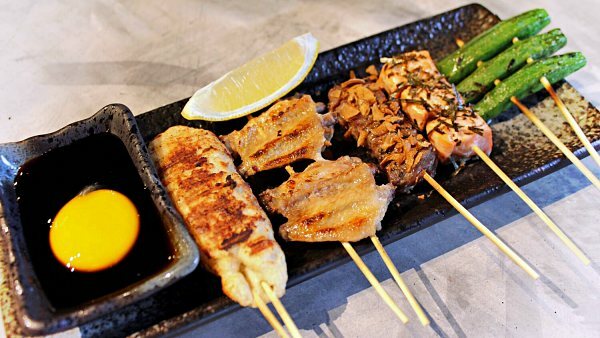 The platter features tsukune (Japanese chicken meatball), chicken wings, salmon cubes, Wagyu cubes and sweet potato. You might need to take note that the sweet potato might subject to availability (as replaced by the okra skewer shown in the image). Grilled on charcoal, the skewers were infused with a distinct aroma. Just squeeze a bit of lemon and dip these delights in the tare sauce (a thick, sweet soy sauce) with egg yolk and you wouldn’t stop savoring them! I love the Wagyu as it didn’t have that sketchy texture of overcooked beef while the wings won my heart for their crispy goodness. Here comes the last dish which is also my most favorite dish of the day – Truffled Wagyu Donburi! 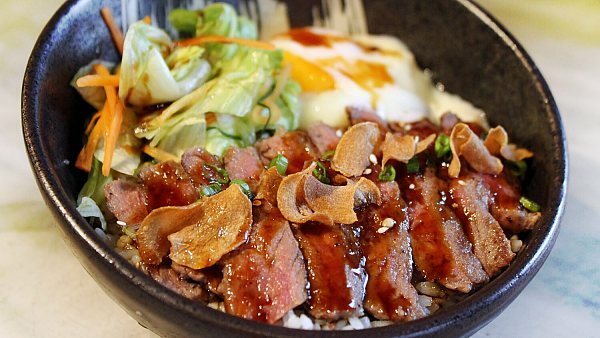 This much-loved Donburi (rice bowl dish) is embellished with tender cuts of medium rare Wagyu beef with Italian-imported truffle oil drizzled on top. I was amazed by the way the truffle oil complemented the melt-in-the-mouth and juicy Wagyu meat as they were such a match in flavors! If you love your rice to be a bit soft, you can mix the whole bowl with the savory tamago (half-boiled egg) beautifully set aside. Definitely a must-try! TABLEAPP ELITE Members can redeem these 3 dishes for free. Learn more about TABLEAPP ELITE Membership here. Location: 2, Ground Floor, Jalan 24/70A, Desa Sri Hartamas, 50480 Kuala Lumpur.